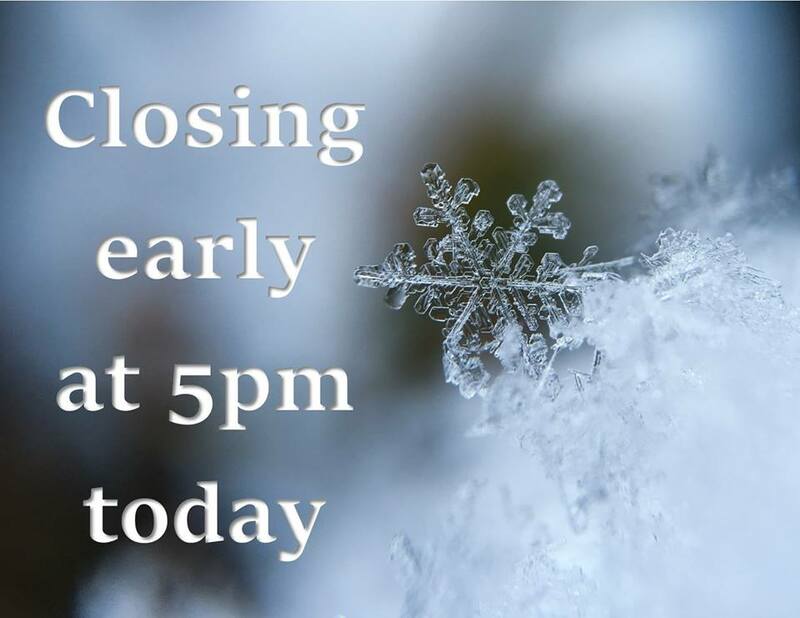 Closing Early – Jan. 29th!!! 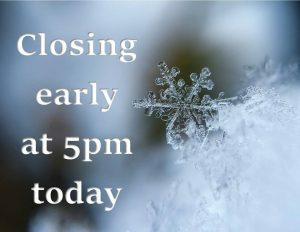 Due to the extreme cold and in consideration of patron and staff safety, we will close early today, Jan. 29th, at 5:00 pm.